Anti-social behaviour is ‘upsetting residents of Meenagh Park’ in Coalisland according to local Sinn Féin Councillor Niamh Doris. The Sinn Féin representative has called for an end of the anti-social behaviour around the Pitt Lane area within Meenagh Park. 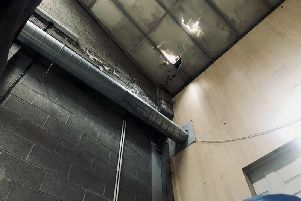 “I am very concerned about the reported anti-social behaviour that residents of Meenagh Park are facing which is equally upsetting to the elderly and young families with children.," she said.